Projects designed to generate new external funding, research strategies, and collaborations will receive the highest priority. Please see below for brief descriptions of each program. Applications for all programs are reviewed on a rolling basis. 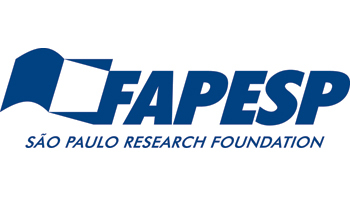 GW and the São Paolo Research Foundation (FAPESP) in Brazil have formalized an agreement to encourage scientific and technological cooperation between researchers from the State of São Paulo and from GW through the funding of joint research projects. The areas of collaboration may include, but are not limited to, research in engineering, public health, medicine, science, and the humanities. If funded, GW will allocate up to $5,000 towards the expenses of its own PI and FAPESP will match funding for the collaborator based in São Paulo. GW and the Fondazione Inuit, University of Rome "Tor Vergata" have created a program to support collaborative research projects involving individuals at these two institutions. Awards are up to $5,000 per year. The American University of Armenia and the George Washington University (GW) have launched a program to fund joint collaborative research projects. Under this scientific cooperation agreement, collaborations can be in any field, including engineering, public health, medicine, science, and humanities. The GW International Research Program aims to encourage and support original research of the highest quality as well as new collaborations. Awarded funds may only be used for travel and travel-related expenses.